1 Crosses sit in honor of those killed during the mass shooting in Las Vegas. 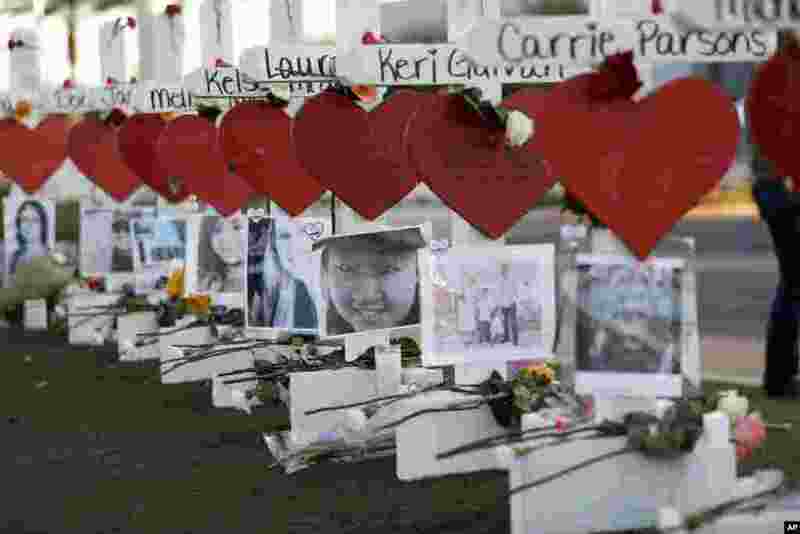 A gunman opened fire on an outdoor music concert on Sunday killing dozens and injuring hundreds. 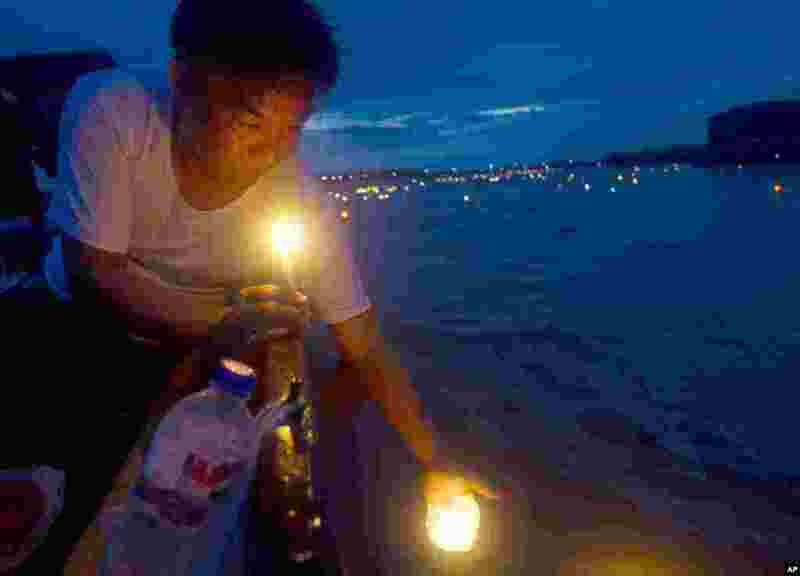 2 A man releases paper lanterns to float in Shwe Kyin creek during the annual light festival in Bago, about 183 km from Yangon, Myanmar. The ritual is believed to bring good fortune at the end of Buddhist Lent. 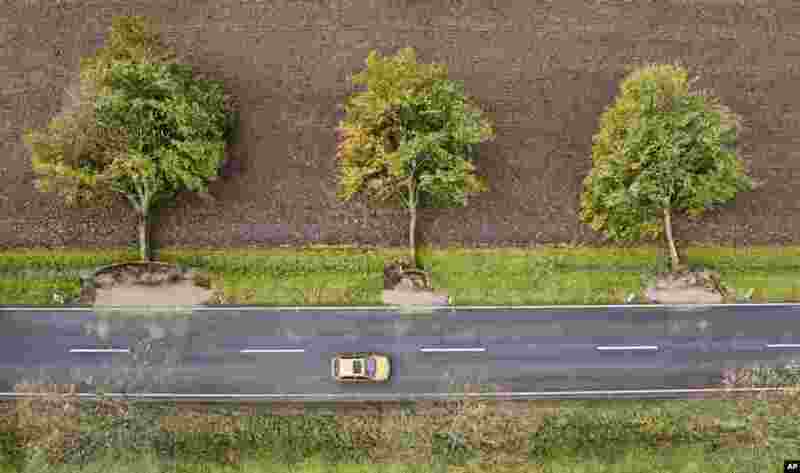 3 An aerial view shows three uprooted trees at a road near Hildesheim, Germany. Seven people died Thursday as high winds knocked over trees and caused widespread travel chaos in northern Germany. 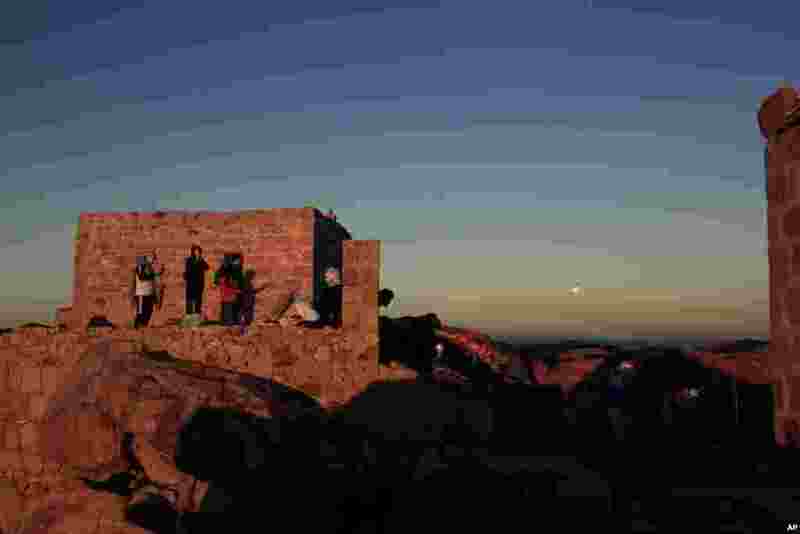 4 Arab tourists, left and American tourists, right, watch the sun rise and the moon set from the top of Mount Sinai or 'Mount Moses' in Saint Catherine in the Sinai peninsula, Egypt.